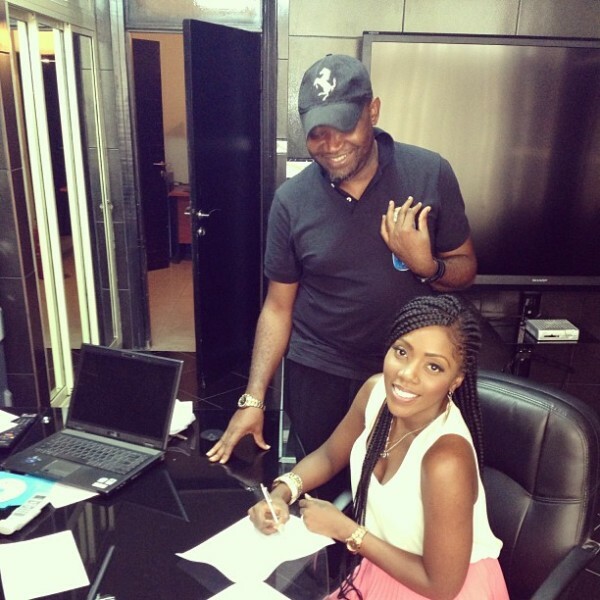 Tiwa Savage Ports to the yellow Team Becomes Telecommunications Company MTN brand Ambassador..
Nigerian singer and Kelekele Crooner Tiwa savage recently Joined MTN Nigeria as a brand ambassador,she shared the news with fans and a picture of her sealing the deal. The deal is said to run into Millions of Naira..
Big Congratulations to Tiwa and I really do think the braids suit her.. I hope she wears them often now..
awwww so sorry about that dear..Have you tried to call them and complain you should be able to get a refund ba? ?